Batavia Illinois is a lovely suburb about forty miles west of Chicago. The oldest city in Kane County, Batavia was founded in 1833 and many old buildings remain, giving visitors a sense of the community’s rich history. 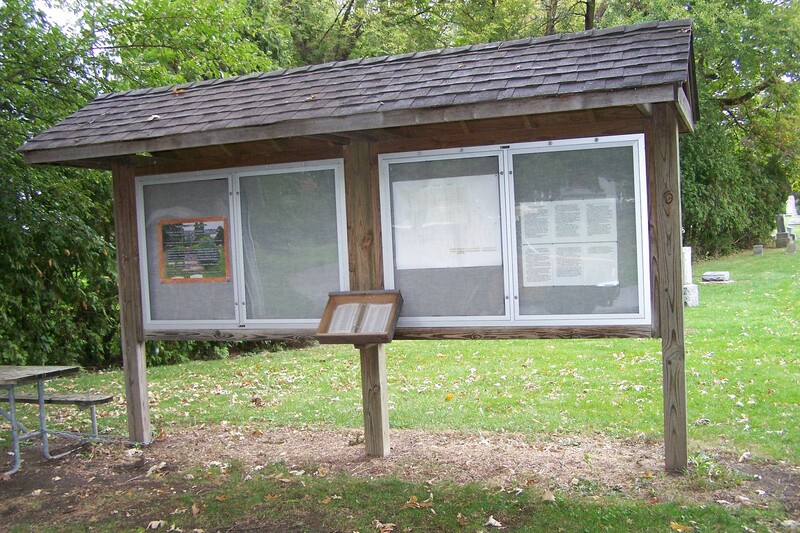 The Fox River runs through the center of town and shady well-kept parks are located along its banks. The town has an industrial past and present, but the residents have been diligent about keeping the industrial feel to a minimum. Tree lined streets and paved walkways abound. The downtown area has plenty of shops and pedestrians can easily make their way around. 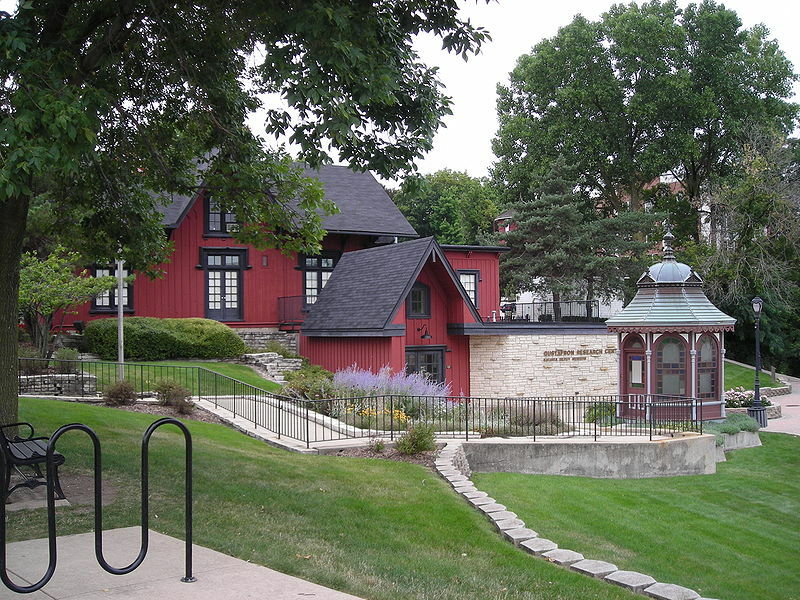 The Depot Museum was formerly an old abandoned Chicago, Burlington & Quincy Railroad station which was moved from Webster and Van Buren Streets through downtown Batavia “nine blocks, one hill, and a bridge away” to its current destination on Houston Street. Refurbished with mostly volunteer labor, the Museum is among the nicest historical centers I have visited. I am a long-distance member of the Batavia Historical Society and their last newsletter mentioned the acquisition of a salesman’s sample windmill. My recent trip to Illinois included a visit to the Museum to see this newest treasure. Depot Museum has limited hours, so Husband and I arrived before the 2pm opening on a Friday afternoon. We were greeted by friendly volunteers who offered assistance within the first few seconds of our visit. Many of the displays are on the lower level, the windmills in particular, so we walked past the Mary Todd Lincoln display and headed downstairs. Through large items and picture displays, Batavia’s Historical Society tells the story of Batavia’s past. Swedish immigrants, like my ancestors, came to Batavia in the 1870s and they were hard-working people. Many of the men from Sweden came to work in the quarries and others, like my ancestors, were blacksmiths. 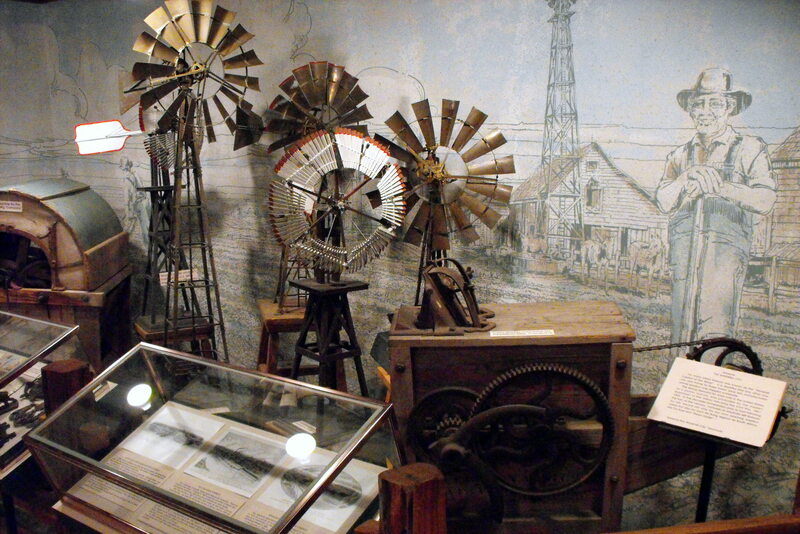 Of course my favorite displays were windmill-related. 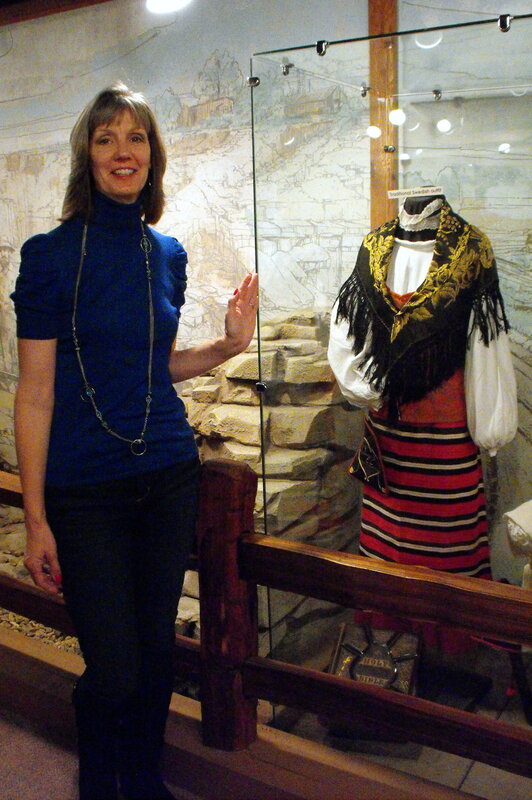 The Museum and the Historical Society combined efforts and expertise to create a fantastic learning experience for anyone interested in Batavia’s past. After exploring the Museum we headed over to the Gustafson Research Center. Housed in the same building and manned by equally helpful volunteers, the Research Center is the place where genealogical records are kept. Before leaving home, I had visited the Center’s web page and made a list of the records I hoped to see. There was a binder filled with photos taken at the U.S. Wind Engine and Pump Company which I enjoyed. I had no luck in the probate records index and the city directories in the Center were too recent to help me. Darn! I’ll visit the Batavia Library on my next trip since they also have a terrific collection of Batavia materials. From the Museum, we headed south to the West Batavia Cemetery where several of my Tolf ancestors are buried. The cemetery is city owned and once again, attention to preservation is evident. The cemetery “residents” have been indexed and the index is available near a map of the cemetery. Harry and Judith Tolf aren’t listed on the index but I know they are in this cemetery, although I couldn’t remember the section in which they are buried. Not to worry, a very kind gentleman who was working on the grounds stopped to ask if he could help us. He drove around to the section in which others of my ancestors are buried and offered to go back to the office and find the section for Harry and Judith. We explained that we had to leave the cemetery briefly to meet another family member and had planned to come back later. “No problem”, he said and promised to leave the information for us in the box with the index. To my delight, that’s exactly what he did! From Batavia, we drove north about five miles and met another couple for dinner. This was the first time any of us had been to St Charles Place, but it certainly won’t be the last! Super fun atmosphere, great service, and exquisite food. Try the spaghetti when you go, Husband is still talking about how delicious my dinner was! After this LONG first day (seven hour drive to Illinois, touring, research, dinner out) we looked forward to reaching our hotel and collapsing. I had chosen Springhill Suites by Marriott in Warrenville because a.) I’m a Rewards Member and b.) it was close to the expressway for our morning commute to Chicago. We were delighted with our $99 executive suite. It had a convenient kitchenette and an L-shaped desk which was perfect for the blogger among us. I’ve saved this location in my favorites and plan to stay here again. Kudos Marriott! On Saturday morning we enjoyed a complimentary breakfast before heading to the Chicago History Museum for the day. More on that later!